We know that coming to visit any MVD is about as fun as getting your teeth pulled. Just the thought of having to take care of your MVD needs can send you running home screaming! That’s why we do our very best to make sure that every customer that walks through our doors gets the friendliest, quickest service possible. We don’t always hear about what an awesome experience that our customer had, but we really appreciate it when they tell us! 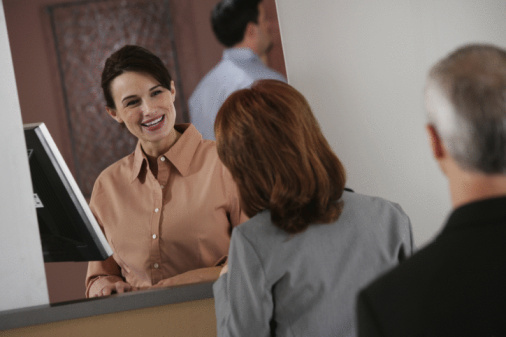 Last week, a customer came in after jumping through numerous hoops to get the required documentation for his license renewal. He was, understandably, frustrated and told his story to our customer service agent. Our customer service agent was kind, attentive and empathetic to his situation. She took care of his license renewal quickly and had him on his way in no time. In this case, he was so happy that his customer service agent took the time to listen, acknowledge and empathize with his situation that he felt that he had to tell us. Believe us, we love it when we hear positive stories like this! From the simple, routine procedures all the way to the most complicated MVD problems, we can help. We’re your advocates in the MVD system who can help you find solutions to your MVD problems. Stop in and see us today!